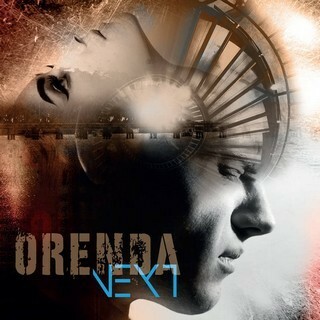 "Orenda's rebirth album, "Next" is a progressive rock album with a metal feel, well played, well composed and taking its influences." More than twenty years ago, musicology students from the University of Rouen founded Dream, a tribute band at Dream Theater. Quickly renamed Orenda, the band recorded the first demos of its own compositions in the early 2000s. One evening after rehearsal, the group's car was hit by a driver. All the members are injured, some very seriously. After months of hospitalization and rehabilitation, the musicians' motivation is seriously compromised. However, Orenda is gradually reborn, juggling line-up changes, everyone's professional obligations, composition sessions and the lack of money for recording. In 2008, ten years after its formation, the combo's first opus, "A Tale Of A Tortured Soul", was finally released. The release of the album is as unexpected as it is mostly ignored by critics. For some members of the group, this will be the end of the adventure. For others, keyboardist Stéphane Coubray and singer Anthony Lefèbvre, it will be the beginning of another, with the creation of the collective A New Day For Heaven and the composition of the rock opera "Every Angel Has A Dark Side". Among others, drummer Guillaume Lefebvre and bassist Julien Estève, member of Your Majesty, the French fan club of Dream Theater, are participating in this project. The four musicians recruited guitarist Stéphane Vaillant and Orenda was reborn a second time, determined with this new album "Next" to forget the dramatic turn of events and the multiple degrees of internal turbulence. "Next" is a story of images and words. The words are those of separation, abandonment and reconstruction, those of the systematic chaos of life. Images are less dark than words. The halo of light that illuminates the center of the very beautiful artwork on the record cover is the hope that Orenda can finally see the end of the tunnel after all these years of hard work. Listening to the album, there is no room for doubt: the people of Rouen deserve the recognition they have been waiting for so long. Between rock and progressive metal, "Next" is a finely crafted album, rich in bright melodies and delightful technical passages. Certainly the band's music is highly referenced. Dream Theater remains Orenda's major influence and the title "Zombified" is the synthesis of everything the French owe to the Americans, at least for the period between "Images And Words" and "Train Of Thought", even if the guitar solo with a wah wah pedal is just as reminiscent of Porcupine Tree's "Shesmovedon". However, reducing Orenda to a Dream Theater clone would be both unfair and wrong. Like all progressive rock musicians, the quintet has been nourished by the history of the genre and the references to the tutelary figures of the seventies, notably Genesis and Pink Floyd, are judiciously spread throughout the pieces. This is particularly the case with the epic "Bridges Of Life", a superb piece of more than twenty minutes long, magnificently composed, which multiplies breaks and musical themes with a fluidity and an art of transitions that command respect. Moreover, if the musicians' technical mastery is really impressive, it remains at the service of music and its emotional power, thanks in particular to the beautiful work of Anthony Lefèbvre whose singing evokes in turn Pain Of Salvation ('Minimalism','As Yesterday') and Queen ('Everybody Has To Suffer','Bridges Of Life'). So of course, in the end, that's a lot of references for just one group. But it is difficult to blame the people of Rouen for having wanted to pay tribute to the music that fascinates them to compose the album of Orenda's rebirth. "Next" is a progressive rock opus with a metal tendency, well played, well composed and taking its influences. The group's personality is eager to flourish and assert itself in the future. Let's hope that all lovers of progressive music in the broad sense will offer Orenda a future by buying this beautiful album. Suite à l'écoute du clip, je donnerais Symphony X, The Who, The Flower Kings et Drream Theater en influence ;) Hâte d'entendre l'opus complet.